Here's an historical coincidence I hadn't heard before, though perhaps it's well known in the US. In Jersey Shore, Pa., along the west bank of Little Pine Creek, 23 men wrote and signed their own declaration of freedom. By coincidence this was on exactly the same day as the US Declaration of Independence was being adopted at Philadelphia;s Independence Hall. It's recorded that these fair play men, as they were called, assembled on July 4, 1776, to declare themselves independent of Great Britain. They were not aware that the Continental Congress was doing exactly the same thing in Philadelphia. 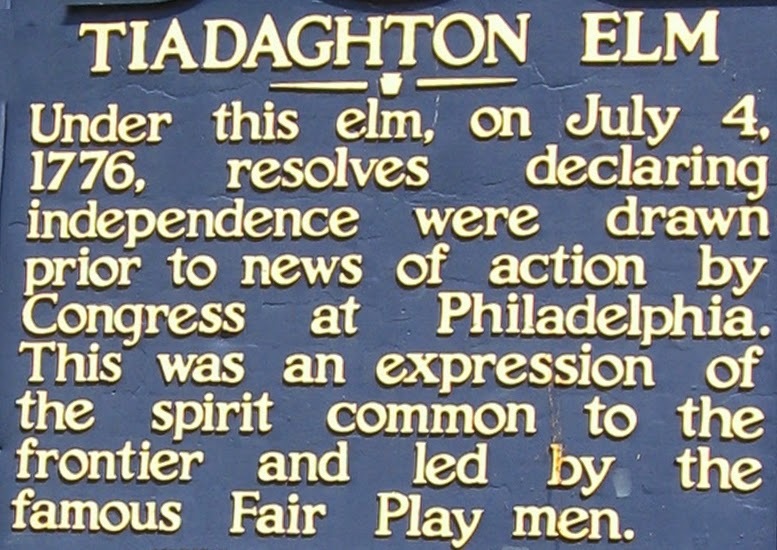 The men gathered under the Tiadaghton Elm to hear their leaders renounce allegiance to the mother country. Their meeting ended by the 23 men drafting and signing the Pine Creek Declaration of Independence. 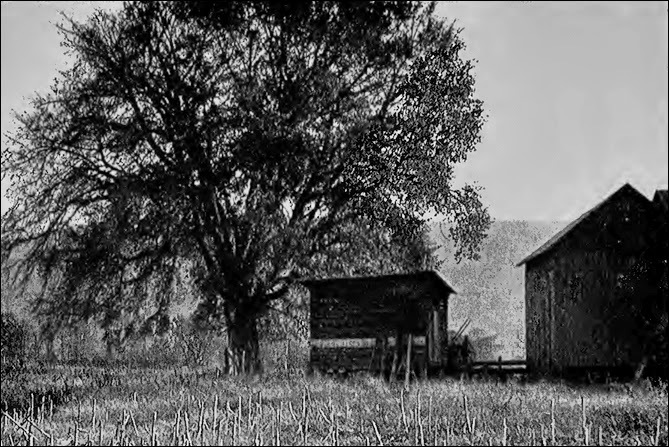 It's said that the signers of the declaration went to Fort Horn, located nearby on the West Branch of the Susquehanna River, and buried the original document in a strongbox. Two of the group were then chosen to take a copy of the document to the seat of government in Philadelphia. They left on horseback but were ambushed and robbed by Indians. They escaped but were then arrested by Tories as spies. Again they managed to escape and made there way to Philadelphia. They arrived on July 10th only then to learn of the other declaration. The original 18th century Pine Creek Declaration of Independence was lost when Indians and Tories burned Fort Horn. Note: The photo of the Tiadaghton Elm (public domain) was taken in 1939 but the tree died in the 1970s. Will There Be A Generation Of Idiots One Day? I've never heard this story! These historical synchros are fascinating. I never knew this, but will definitely look into it. Thanks, Mike.